If you’ve just been informed you need a root canal, it’s a pretty safe bet to assume you’re not thrilled at the prospect. 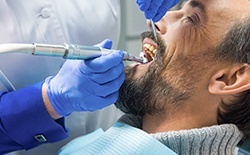 Root canal therapy has a bad reputation for being painful, but when done right, these treatments will actually relieve pain and save a tooth that may otherwise need to be pulled. At Pleasant Grove Family Dentistry, we use every resource we have to help patients maintain their healthy, natural tooth structures. Root canal therapy may not be our most popular smile saving tool, but it is one of the most effective. If you’re in need of a root canal, take a breath. It is not the painful, stressful experience you may believe. Call our dedicated dentist and team to schedule an appointment for Texarkana root canal therapy in our family-friendly dental office. We will work hard to get you out of pain and put the smile back on your face quickly. Root canals are needed when a tooth’s damage or decay accesses the pulp layers of teeth. This inner layer is where the tooth’s nerve runs through the tooth to the supportive gum and bone tissue and out to the rest of the body. When this nerve is accessed by decay or damage, the result can be serious toothache or sensitivity, which means you need a root canal. The root canal process itself is actually relatively straightforward. We numb the area around the tooth. Then, we drill a hole from the top of the tooth into the pulp. The damaged dental structure, pulp, and nerve are all extracted through this access hole. In some cases, we will need to prescribe oral or topical antibiotics to remove infection and bacteria before we complete the root canal. The tooth is refilled with a biocompatible substance, and the access hole is resealed. In most cases, we also place a dental crown to protect and strengthen the remaining, healthy tooth structure. 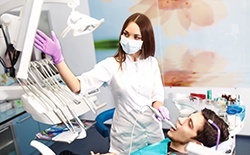 Following root canal therapy, most patients experience almost immediate relief from the toothache and dental sensitivity that so often precedes a need for these treatments. 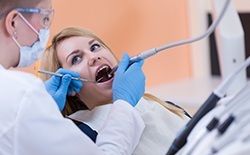 In most cases, apart from some mild inflammation in the gums or sensitivity in the first few days after root canal therapy, patients feel almost as good as new. If you do experience increased pain, discomfort, or sensitivity for more than 48 hours after treatment, you should contact us immediately.